Foundation The association was founded in 1980 and named LPS, the Dutch association for Supervisors. On 11 November 1989 the associations name was changed in LVSB and represents next tot supervisors also professionals working with other methods of coaching. In 2008 the name changed in LVSC, where the “C” stands for Coaching. Number of members Of the almost 2100 members 1700 are certified supervisors and/or coaches. Various committees: accreditation of supervisors, trainers and training programmes, Court of arbitration board, Foreign Affairs etc, Task Groups, regional groups, Supervisor and coaching division. Rule for registration of coaches. Supervision represents a specific method of training and enhancement of competence for professions and functions in which methodical acting in interactions between persons forms an important aspect of exercising the profession. The central task of supervision is based on learning to reflect independently and of setting professional goals in realistic, concrete situations. Supervision as such spans different methodical approaches and professional fields. Its characteristic features and conditions are theoretically expressed. Nowadays coaching in the labour context has a broad focus on personal development. Coaching is seen as an instrument in Human Relations Management to enlarge employability of personnel and tot stimulate organizational learning. Coaching is used more and more in combination with training and management development programs. Coaching is provided for individuals, teams and larger organisations. 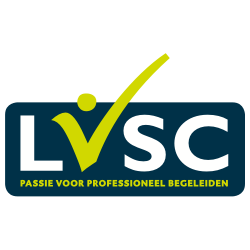 LVSC does not take into account existing institutions, but examines and approves their respective training courses.